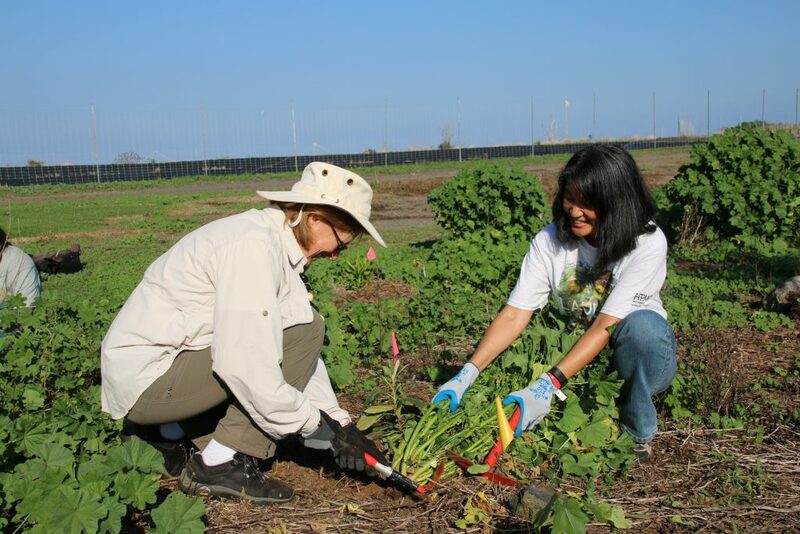 As a result many individuals and organizations across the country volunteer on this day to give back to their communities. 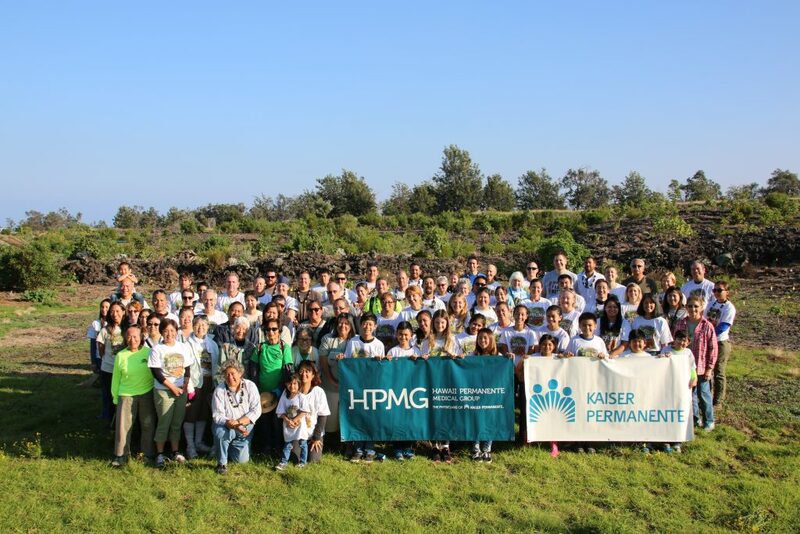 Nāhelehele is extremely grateful for the partnership with Kaiser Permanente and the Hawai’i Permanente Medical Group for volunteering on this day since 2016 to help with dry forest restoration at the Pu’u Wa’awa’a Forest Reserve on Hawai’i Island. 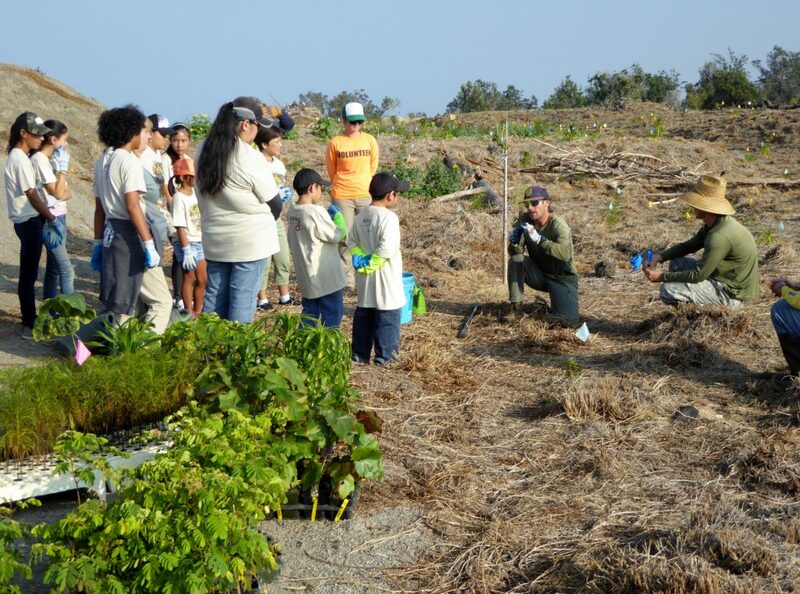 Kaiser Permanente and Hawai’i Permanente Medical Group employees, retirees and family members join together with dry forest and cultural experts from Pu’u Wa’awa’a, Waikoloa and Ka’ūpūlehu dry forest reserves to plant native dry forest seedlings and mālama the Pu’u Wa’awa’a dry forest. 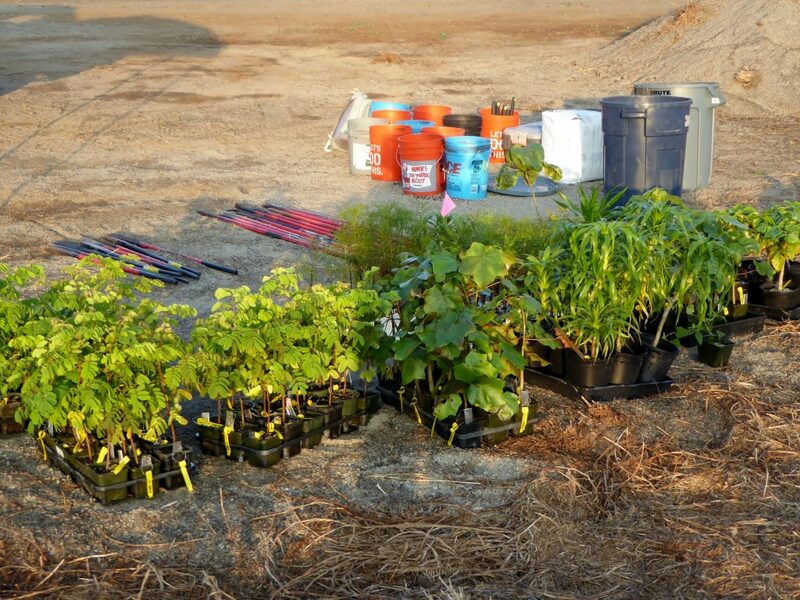 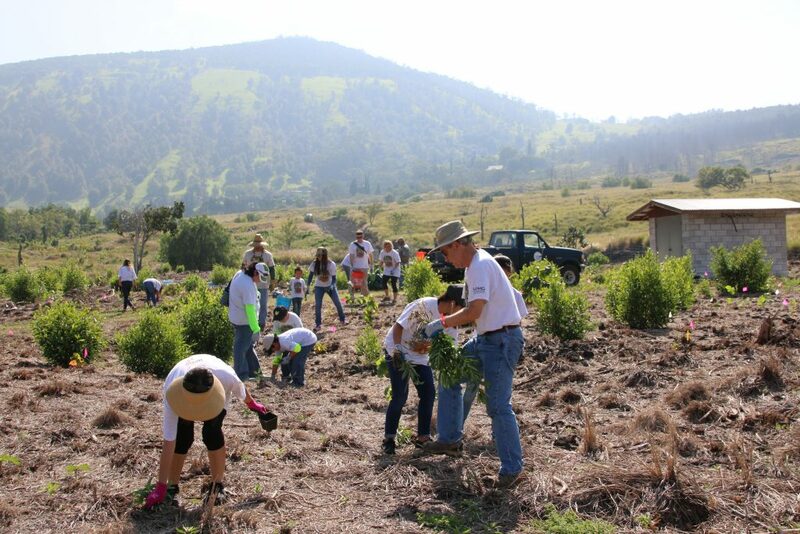 Kaiser Permanente also donates funds for tools and equipment, which are used by volunteer groups through out the year for dry forest restoration. 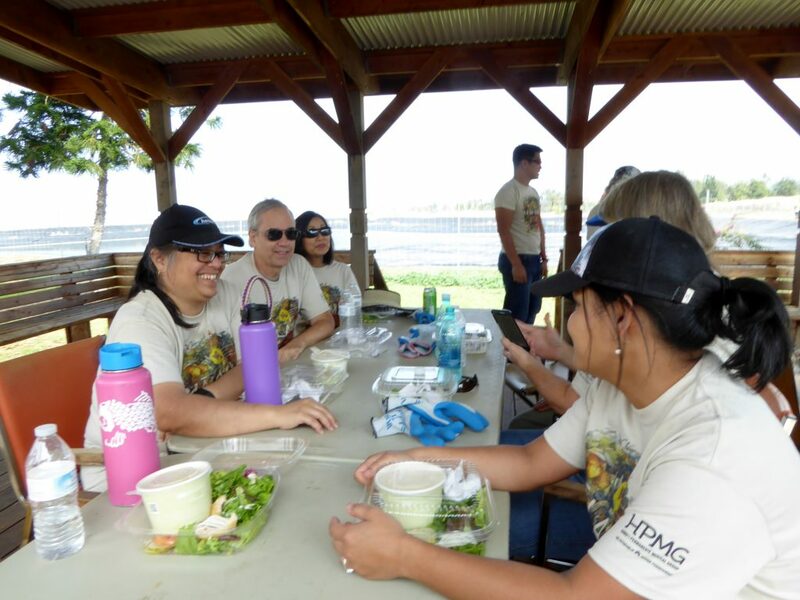 Kaiser Permanente and the Hawai’i Permanente Medical Group are exceptional community partners who understand that connecting with people and nature are powerful and long-lasting healing forces. 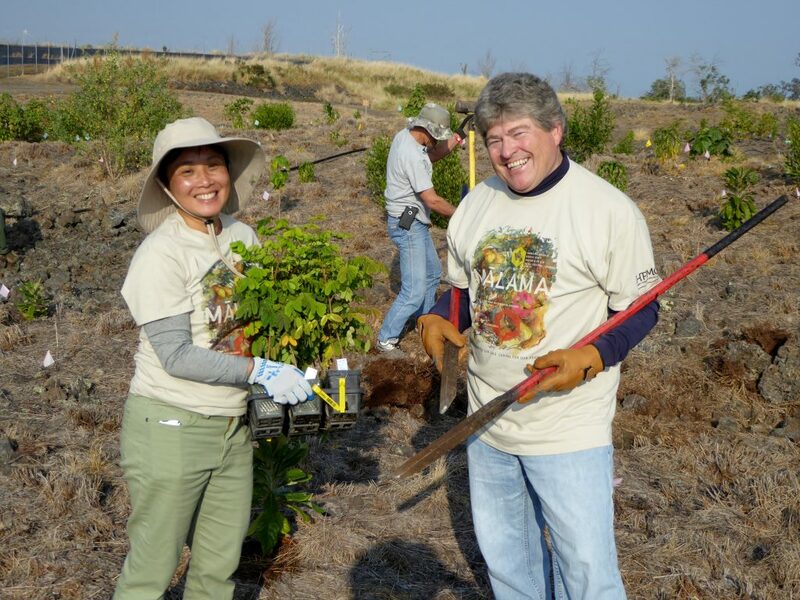 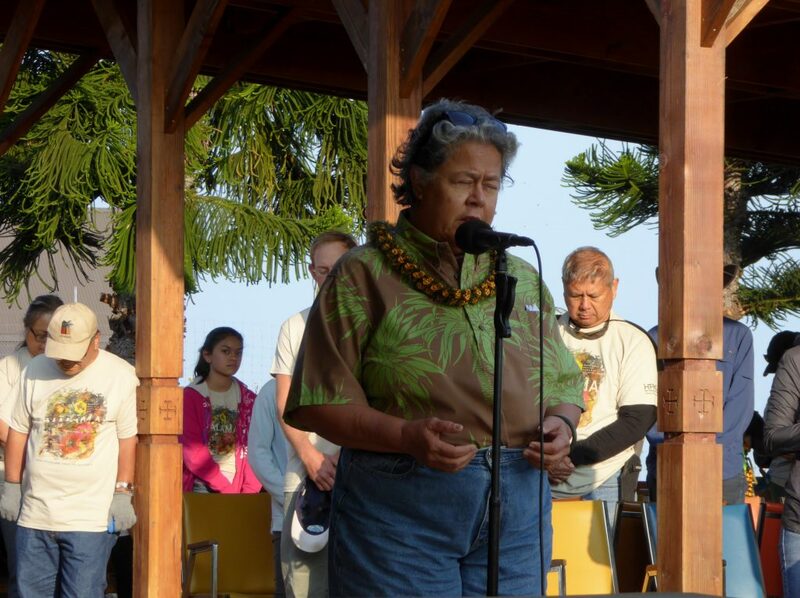 We are very grateful for their generosity, volunteers, inspiration and leadership in perpetuating Hawaii’s native dry forests! 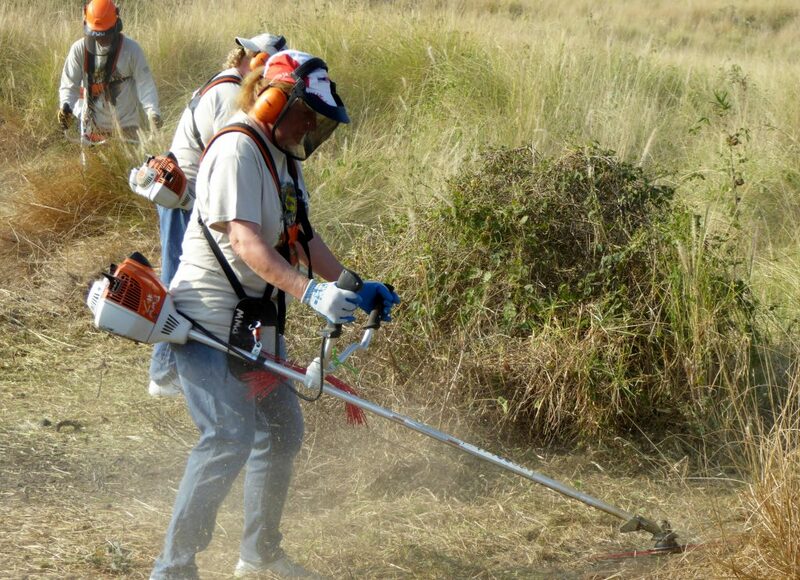 Any day can be a day of service. 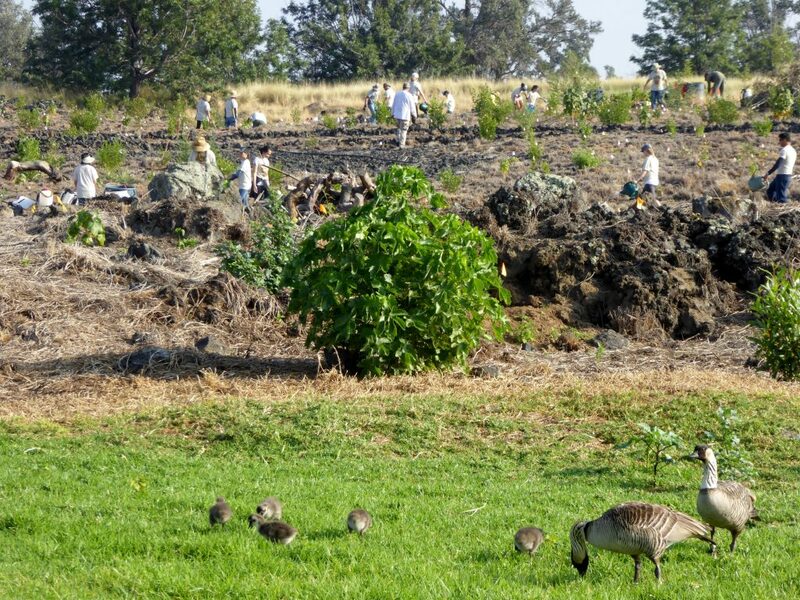 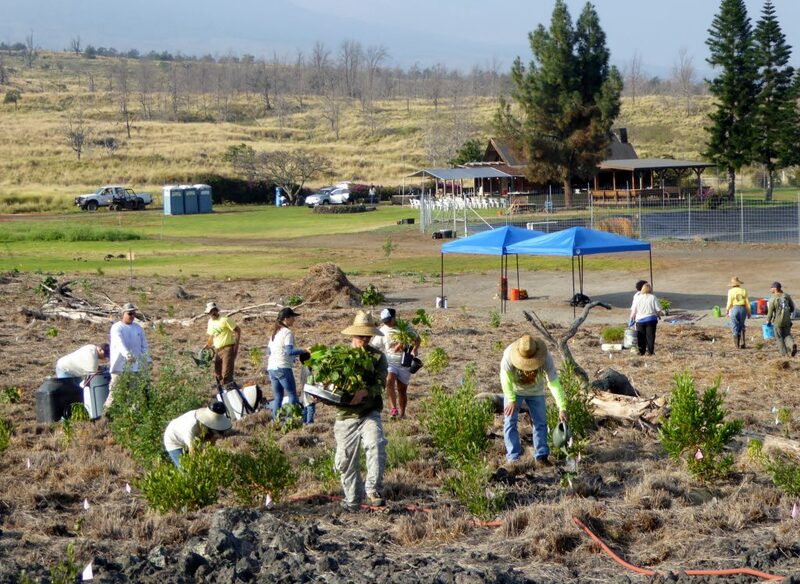 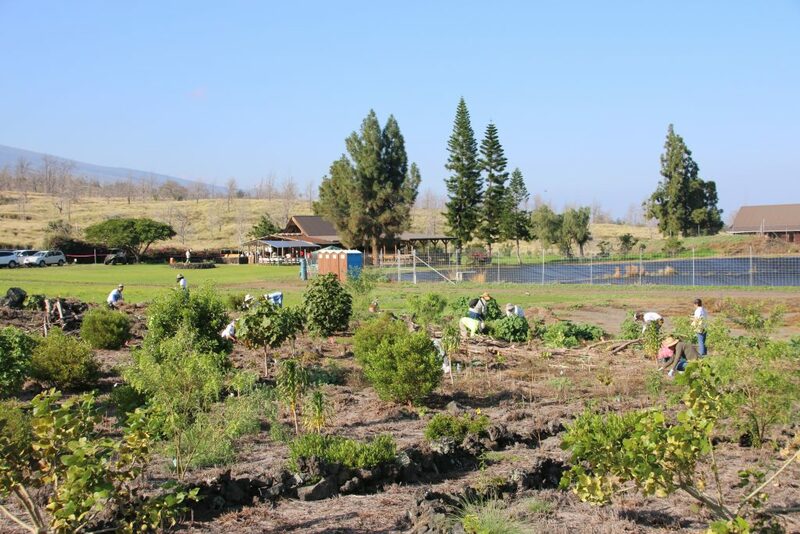 If your organization would like to support dry forest restoration with a day of service, which can occur any day throughout the year, Nāhelehele can help you with this. 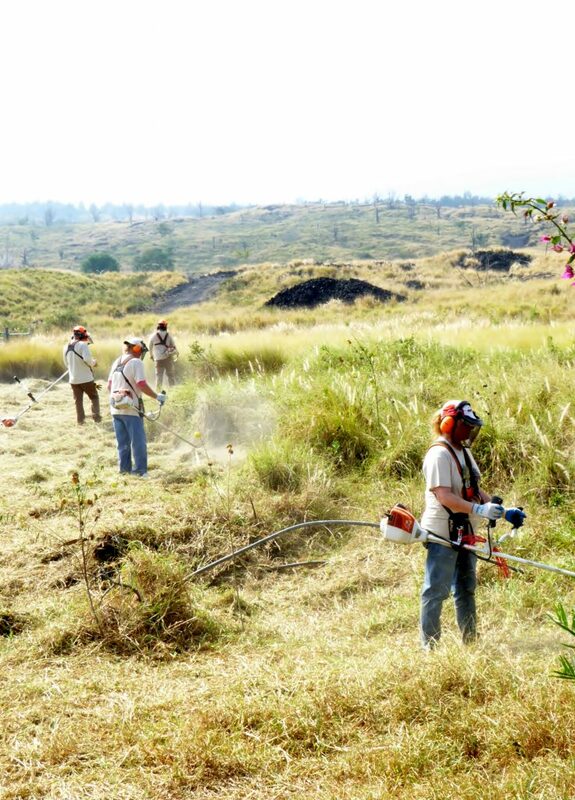 Please contact us and we will put you in touch with dry forest partners who best suit your needs. 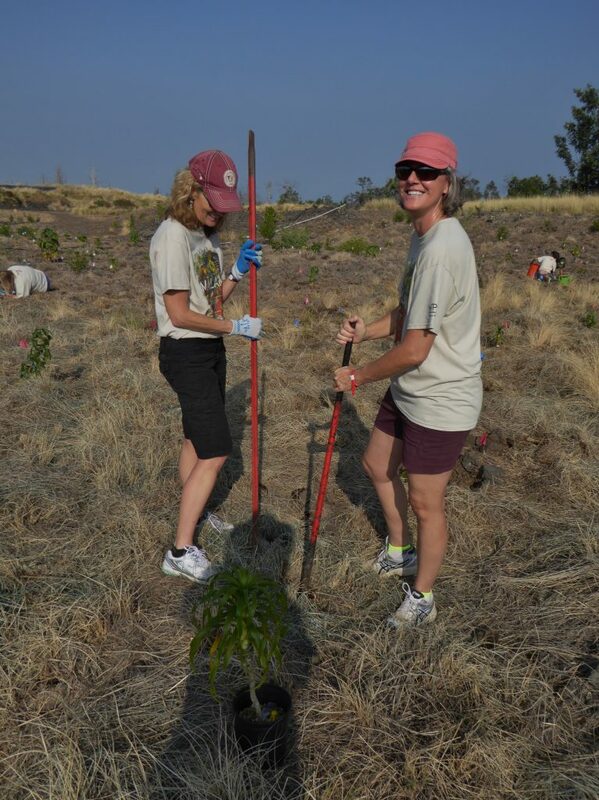 Individuals who want to participate can refer to the Volunteer page to find dry forest sites that offer frequent public volunteer opportunities for dry forest restoration. 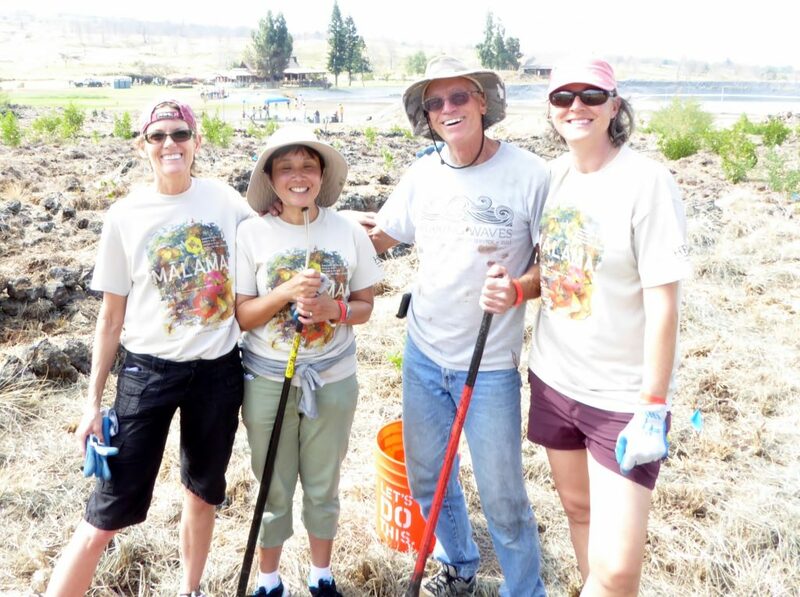 The following gallery shares the warmth and joy of the Kaiser Permanente and Hawai’i Permanente Medical Group employees, family members and retirees at their Annual Day of Service at the Pu’u Wa’awa’a Forest Reseve.